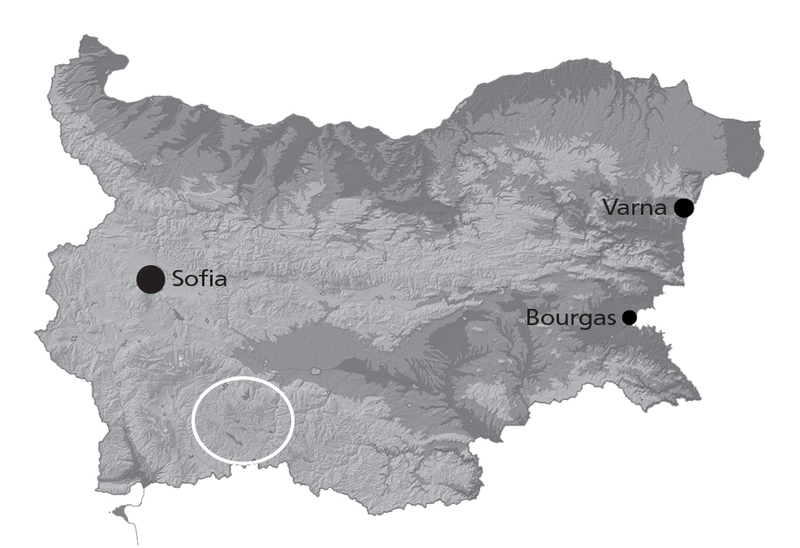 Bulgaria hosts one of the most stable populations of the Brown Bear in Europe. About 800 animals inhabit the mountains in the central and southwestern parts of the country. This exciting tour focuses on watching the Brown Bear in the virgin recesses of the Western Rhodope Mountains. The Western Rhodopes are one of the biggest mountain massifs on the Balkan peninsula and have a great significance for the conservation of vast deciduous forests and unique conifer forests. It is the main refuge of the Brown Bear in Bulgaria. The mountain is also home of the Grey Wolf, the European Wild Cat and the Balkan subspecies of the Chamois. Depending on the time of year, you will have bigger or smaller chances to see these animals, as well as the Wild Boar, Red Deer, Roe Deer, Badger, Brown Hare, Stone Marten. The best time to see the Brown Bear is April – May and September – November. The bird diversity in the Western Rhodopes is amazing, with nearly 150 breeding species recorded there. The region holds the biggest breeding population of the Capercaillie in Bulgaria and is one of the most valuable areas in the country for the conservation of the Hazel Grouse, European Honey Buzzard, Black Woodpecker, White-backed Woodpecker, Grey-headed Woodpecker, Tengmalm’s Owl, Eurasian Pygmy Owl, European Nightjar, Spotted Nutcracker, Ring Ouzel (ssp. alpestris), Wallcreeper. On this tour you will have extraordinary chances to see and enjoy many of these special birds. Upon your arrival at Sofia Airport we will drive to the core of one of the game reserves in the Western Rhodopes, where we will be based for the next 4 days/nights. You will be introduced to the local rangers, who are very familiar with the behavior and local distribution of the Brown Bear and the other big mammals in the area. You will learn about the Bear’s status, behavior and habits and the conditions for bear tracking and viewing in the area. We will take day walks in the Brown Bear habitats, where we will look at Bear tracks and markings and by a lucky chance see a bear in day time. The main approach for observing bears, however, is to stay in a hide in front of a feeding place for Red Deer and Wild Boars frequented by Bears and, if lucky, watch them from about 20–30 meters. We have to enter the hide about two hours before darkness. We stay in the hide as long as you wish, although it is preferable to stay there until the morning in order to increase the chances to see Bears and other mammals. If you wish, you can spend all three nights in observation hides, regardless of whether you have seen bears the previous nights. The hides are completely safe, made of concrete or wood, with a bed and chairs inside, normally hosting three to six persons. In April you can observe and photograph displaying Capercaillies at their lekking grounds. If you wish to do so, please be prepared for early morning outings and walks in the snow. If you wish to join one of our scheduled Brown Bears & Birds Trips, please check the availability. The prices include the ground transport, accommodation in en-suite double / twin rooms in middle standard hotels or lodges, all meals, use of bear observation hides and guiding.